A review of The Western Way: A Practical Guide to the Western Mystery Tradition by Caitlín and John Matthews from Caduceus, Vol II No 4. The recent release of both volumes of the Matthews’ The Western Way in an omnibus edition may serve as an opportunity to assess this, one of the few attempts in recent years to survey the entire field of modern Western magic from within. Despite its failings — and, unfortunately, these are severe — it represents a major effort, and a not wholly unsuccessful one; furthermore, it has played an important role in providing a frame of reference within which much of the magical community has located itself. As a historical event if nothing else, it demands some attention from the student of the Western mysteries. From one perspective, the central thread of The Western Way is a thread of history, and the book can be read on one level as an inner history of magic in the West — meaning, in this case, largely the British Isles. The first volume, The Native Tradition starts in the deeps of prehistory. It envisions primal Western spirituality in terms largely borrowed from Michael Harner’s popularizations of shamanism and from non-native interpretations of Native American tradition, and proceeds to trace a current based on this pattern down through the centuries to the present. 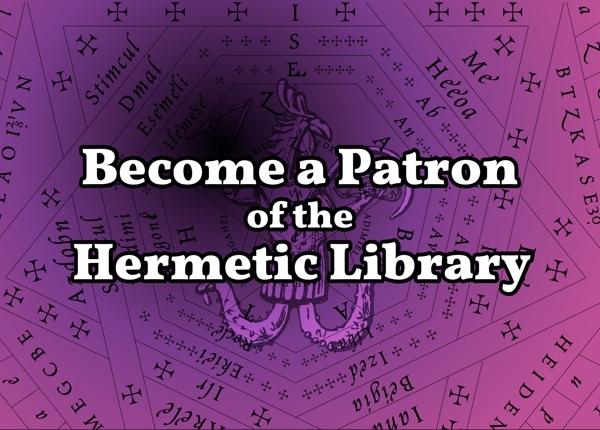 The second, The Hermetic Tradition recounts the origins and development of the various systems of scholarly or high magic and mysticism — Hermetic, Cabalistic, Chaldean/astrological, esoteric Christian, and the like from the ancient world to the modern. On this thread, both volumes string a great deal of esoteric philosophy, instruction, imagery and myth, some of it handled with a good deal of insight. On another level The Western Way can be seen as the most complete single expression of a specific tradition in English occultism, that set in motion and to a great extent typified by the late Dion Fortune. Fortune in many ways moves through-out the book like a resident phantom, rarely mentioned but always present. Those who have read her magical nonfiction will recognize many of The Western Way’s themes and habits of thought at once, from its approach to magic as a way of psychological integration, through its vision of magical history (complete with Atlantean roots), to its specific take on inner-plane Masters, magical lodges, and the other structuring elements of Fortune’s approach to the magical path. Perhaps the best way to approach this book, though, is to see it as an attempt to construct an origin myth for the magical community as this now exists in English-speaking countries, and particularly in England. Its two volumes correspond quite closely to the two major divisions of that community, the pagan and the Hermetic. The Matthews relate these together by way of a linear evolutionary scheme in which the native tradition corresponds to the transition from tribal to individual consciousness, and the Hermetic path to that from individual to cosmic consciousness. Standing at the midpoint of this journey, the modern magician potentially draws on both traditions, the one to acknowledge his or her roots, the other to face his or her destiny. At one end of the scheme stand the earliest human beings — in the forthrightly mythic language of the book, the “Firstborn of the Foretime” — while at the other end lies an “evolved humanity” which “will perceive its collective responsibility” (p. 24). In some ways, this is an appealing image, though perhaps more so to Hermeticists; pagans are likely to find that so linear an idea of evolution fits poorly with the cyclical vision of time more central to their own traditions, and may well be irritated at being consigned to the past in this way. Still, to coin a phrase, de mythibus non disputandum: one takes myths (or leaves them) on their own terms, and no mythic pattern will make perfect sense of everyone’s experience. It’s elsewhere that the broader problems in this work are to be found. I propose to focus on these problems here, rather than on The Western Way’s strengths. This may be unfair, as the work does have substantial virtues, but there’s a broader point to such a focus. The failings of The Western Way are shared by a good deal of magical writing (and, for that matter, thinking) in modern times, and some of the most serious weaknesses in the modern magical community are highlighted with a rare clarity in the flaws of this book. One of these is a matter of simple scholarly sloppiness. On matters of historical fact, the Matthews (like many other magical writers, of course) are far too often careless. Anyone with more than a smattering of background in ancient history, for example, will be bemused to hear that Alexander the Great’s empire reached west to the Straits of Gibraltar (p. 205), and it takes only a few minutes with a Latin dictionary to find that the initials of W.B. Yeats’ Golden Dawn magical motto Daemon Est Deus Inversus, mean not “dedicated” but rather the far more potent “I have given” (p. 346). There are many other lapses of the same sort. Points like these may seem minor, but in magic as much or more than anywhere else, the devil is in the details; additionally, a mythic structure that claims to be founded on history ought to try a little harder to get its history right. But the crippling flaws in this work rise out of another source: the same sort of dogmatic syncretism that typifies Dion Fortune’s writings, among many others, and has caused so much confusion in current pagan revivalism and elsewhere in the modern magical community. Fortune’s dictum “All the gods are one God and all the goddesses one Goddess, and there is one Initiator” is the classic expression of this approach. While this statement is partially true, and important as a partial truth, taken on its own it leads to a very specific form of arrogance and a characteristic blindness to the wild freedom of the spiritual. ”No matter what your own background may be or what country you may hail from, you will recognize the type of the Gods: Thunderer, Shiner, Watcher over the Land. The lord or the lady of the moon is known in all lands, as are the gods of river and tree and stone” (p.75). Now this assumption, common as it is, simply isn’t true. People in the modern Western world tend to encounter pagan beliefs first, in childhood, in the form of well-defined pantheons like those of the Greeks and the Norse, and then too often try to force the much stranger and more elusive systems of other peoples into the same Procrustean bed. Half the confusion surrounding ancient Celtic spirituality, to name only one example, comes from attempts to manhandle the fluid spiritual powers of the highly diverse Celtic peoples into a fixed “Celtic pantheon.” In other cases — for instance, the spiritual traditions of many North American native peoples — the expressions of power that move through the hidden side of things cannot even be called “gods” without doing substantial violence to their nature. 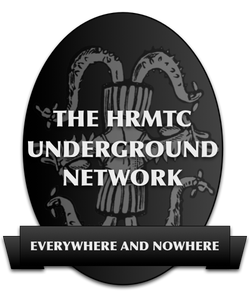 Many peoples — it bears repeating — do not worship a Thunderer, a Shiner, a lord or lady of the moon, or what have you, and many of those who do revere powers that can be called by these names understand them in ways that cannot be forced into the straitjacket of any kind of generic pantheon. One example out of very many: some of the Salish tribes here on the northwest coast of North America see Moon and Sun as brothers, and it is Moon who is the older and more powerful: the demiurgic Changer, in fact, who made the world what it is, and who relinquished the daytime sky to his little brother because he alone has enough power to illuminate the night. The same trouble in a different form arises in the Matthews’ account of Western magical teachings. The sheer diversity of those teachings is very poorly represented. To speak of “the native tradition” and “the Hermetic tradition”, as though there is only one of each, risks losing track of the fact that each of these very broad currents are made up of a dizzying number of different streams, many of them flowing in radically different directions — as well as the fact that there are other currents in Western magical spirituality which cannot be reduced to either of these of categories. This is a risk the Matthews make few efforts to avoid. 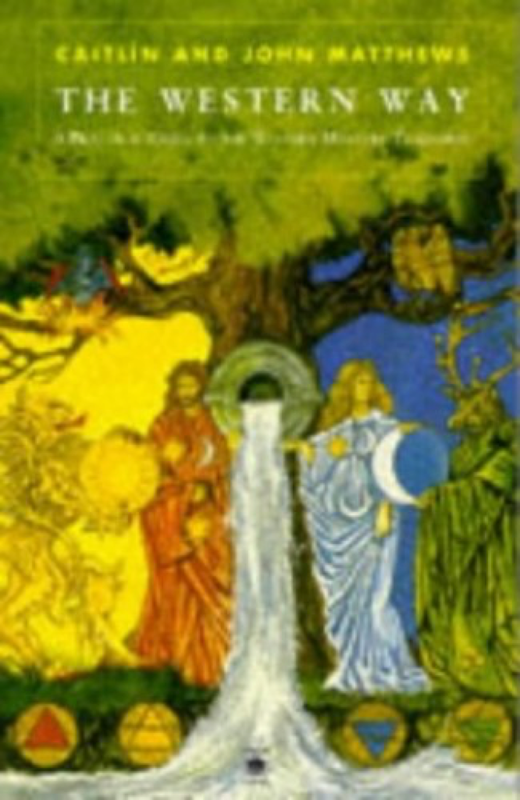 The specific theories and practices of current quasi-shamanic neopaganism, on the one hand, and those of the distinctly idiosyncratic approach to magical work pioneered by Dion Fortune, on the other, are presented as though they are the universal patterns of all Western magic. The unwary reader may well finish The Western Way in fact, thinking that all Western magical traditions are pretty much the same — which, again, isn’t even remotely true. 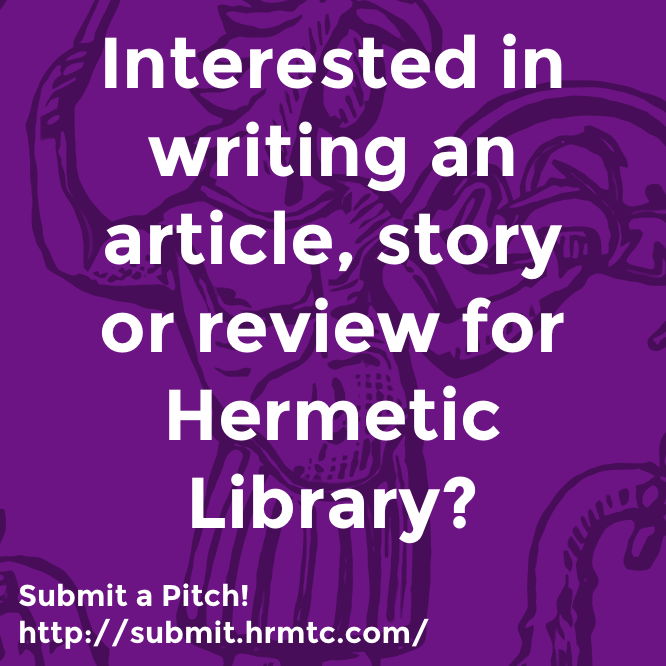 This entry was posted in The Hermetic Library and tagged book, caduceus, Caitlín Matthews, John Matthews, review on April 9, 2019 by John Griogair Bell.